What does it mean to drop someone’s dox? It’s the act of releasing someone’s private information on a public forum. Usually, the information included involves names, State, city, physical addresses, personal phone numbers, work phone numbers, pictures, place of employment, etc. Social Justice psychos hate anonymity because they hate anything that gets in the way of ruining the lives of people who oppose them. They can’t win with ideas, or even by holding any form of human decency, and that’s why they love to expose personal information. And every time you think they hit the bottom of the moral scum bucket, they find a way to dig deeper. Now, cosplayer Renfamous(found on Twitter @Renfamous) – a former right-wing psychopath now turned left-wing psychopath- has decided it was her moral duty to dig into the people who backed Richard Meyere’s works and expose them – to prove they were real. Why? Because #Anti-ComicsGate are such failures they have to spin wild conspiracy theories about Meyer getting fake donations or donating to himself to boost numbers. The victim this time was a poor woman by the name of Nancy. So what happened to this poor woman? Well, the radical SJW left is filled with pedos, creepers, and mouth breathing losers. What do you think happened? 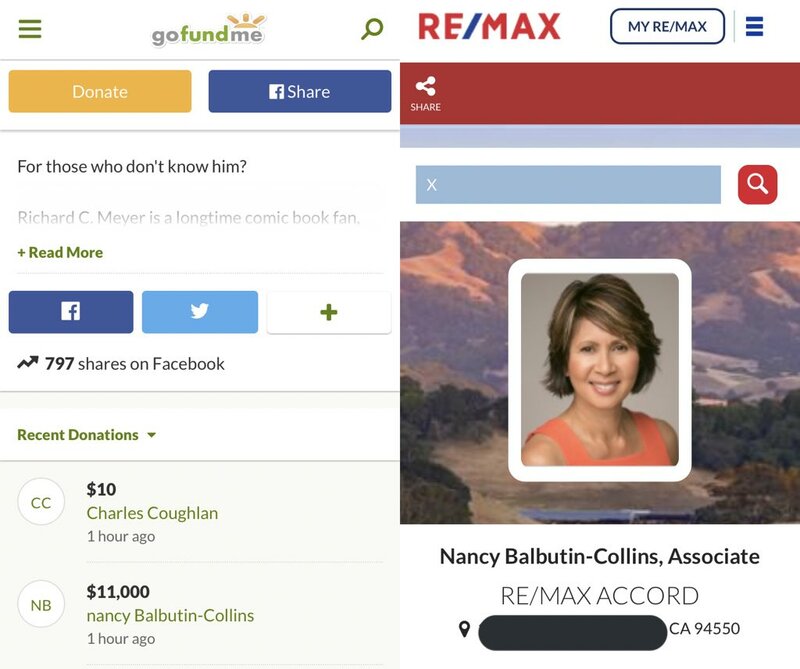 Update on poor Nancy, the woman @renfamous felt compelled to dox today for donating to Richard C Meyer’s GoFundMe. Renfamous showed her face, her work, her name..why do that to someone?? So in the battle between Anti-ComicsGate and ComicsGate…one side tries to ruin lives, lies, commits crimes, and displays oddly obsessive behavior to attack their enemies and those who dare support their enemies. The other side is #ComicsGate. Which side is supposed to be the good guys again?